← VCU in the Final Four? Give Tom a Call(?). 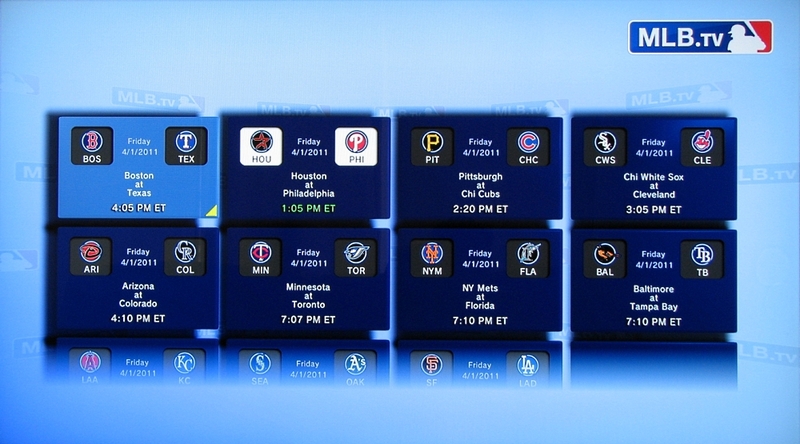 Major League Baseball expanded its MLB.TV service to the Playstation 3 for the first time last year. 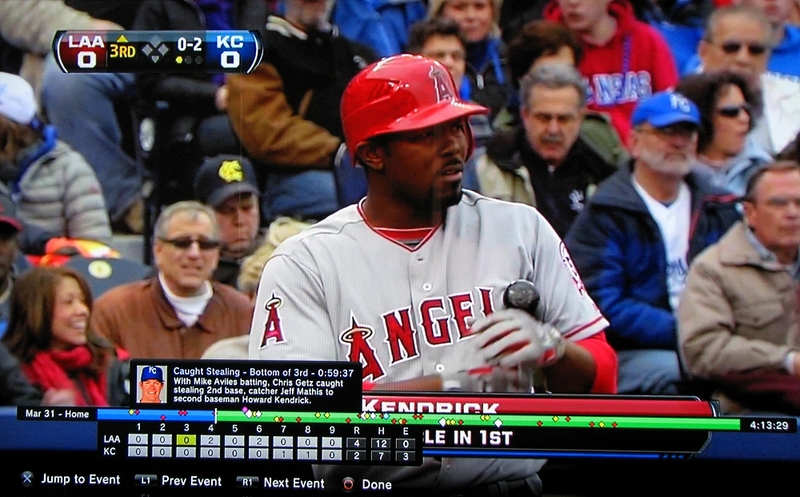 Rarely does something revolutionize a sports fan experience overnight, but MLB.TV did the trick for me. I’ve been a Major League Baseball fan all my life, but I was able to watch the game in all new ways. 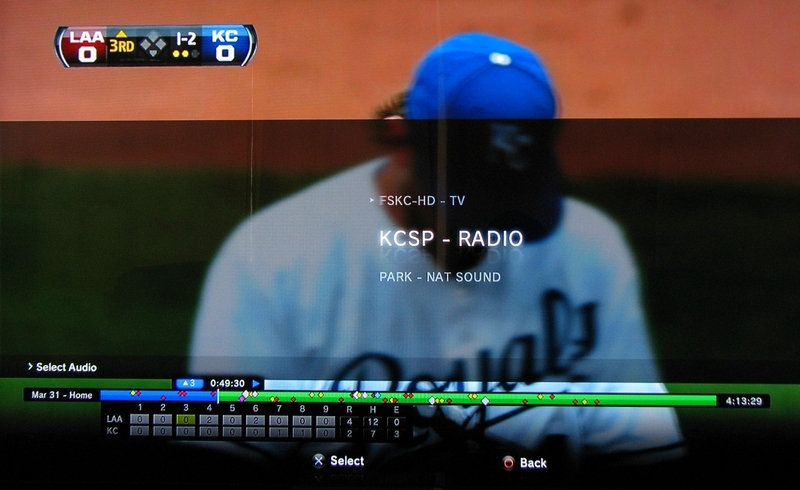 For those of you not familiar with the service, the user was able to watch every out-of-market baseball game live, with DVR-like capabilities, including an on-screen line score just below the time graphic. Access to in-market games was also available, but only ninety minutes after the game ended. Furthermore, the viewer also had the ability instantly to change feeds, 99% of which were in high definition. For example, if the Red Sox were playing the Mariners, I could watch either the NESN Red Sox broadcast, or the regional FSN Seattle broadcast. MLB.TV also included the ability to skip to a particular inning. The viewer could also shift from one game to the next without missing any of the action in either contest. Let’s say I were watching the Cardinals play the Brewers. It’s the sixth inning, and one of the announcers mentions that the Phillies’ Roy Halladay has a no-hitter in the eighth. I could back out of the Cardinals game by pressing “circle,” shift over to the Phillies game using the directional buttons, then join that game in progress with the “x” button. I’m now watching the in-progress no-hitter live seconds after hearing about it for the first time. But what if Halladay gives up a hit two batters later? I just back out, click back over to the Cardinals game, select “resume” instead of “live” before I begin watching it, and I would pick up the action from the exact moment in the sixth inning from which I left off. Perhaps even more impressively, subscribers to the MLB.TV service also had the ability to go back to any game throughout the entire year and watch it from start to finish at any point prior to the beginning of the subsequent season. So, if there were a great Dodgers-Giants game that I had missed the night before, I could watch the entire game—or just a few minutes—the following day. Or, I could go back and watch it six months later. The calendar view. If you pick a "favorite" team, their opponent for a given day will be shown. In other words, MLB.TV archives literally thousands of games and gives you access to any of them at any time. All of this for under $120 for the entire season, which is somehow less than the MLB Extra Innings cable package. It should be noted that Extra Innings affords you none of the archival features or feed choices that MLB.TV does, as well as being much more limited in its HD presentations. Users could change settings to eliminate spoilers as well. By turning off “show scores,” viewers would only see the matchups (i.e. Athletics at Angles), rather than the up-to-date scores or finals. That allowed someone who has to miss the game live to come home and watch it without knowing the results. However, I’m not writing this article to tell you about all the great features that MLB.TV had last year. 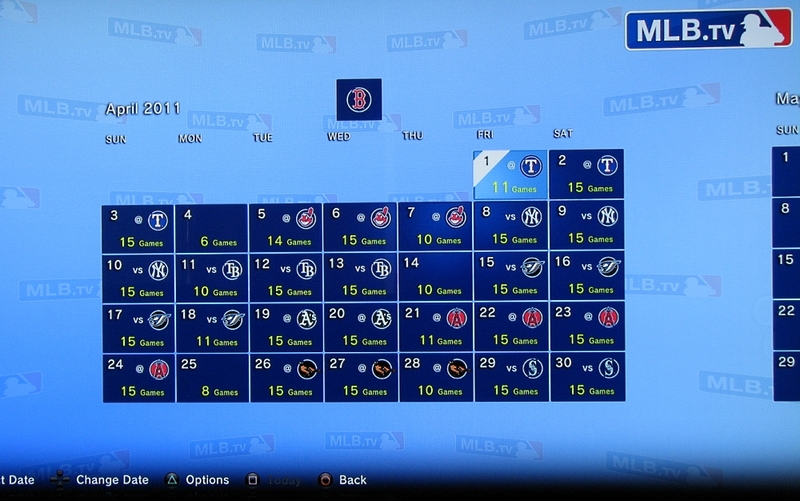 I’m writing this to rave about all the new features MLB.TV for PS3 has added for this season. Several new additions for 2011 take last year’s must-buy product into an even more impressive echelon. First, users now have even more broadcast options. There were two feeds for nearly every game last season (except some national broadcasts on ESPN, TBS, or Fox). While being able to choose the home or away TV broadcast was an excellent option, viewers now have the opportunity to superimpose the home or away radio broadcast over the TV feed. For instance, I could watch a NESN Red Sox feed with either the NESN audio or the WEEI audio. There’s even an option for “natural” sound, meaning no commentary at all, just the natural ballpark sounds of the crowd and ball hitting the mitt or bat. This can often come in handy. It’s also an excellent setting for those of us who like having a baseball game playing in the background while we work at home, but don’t need to hear distracting promos for local eateries or car dealerships every ten minutes. The stats feature is much more robust in 2011. MLB.TV now allows in-game statistics. You can see the box score for the game you’re watching, and even select a specific player to see his season and career stats and bio. Better still, if spoilers are turned off, you’ll only see the stats up to that point in the game. 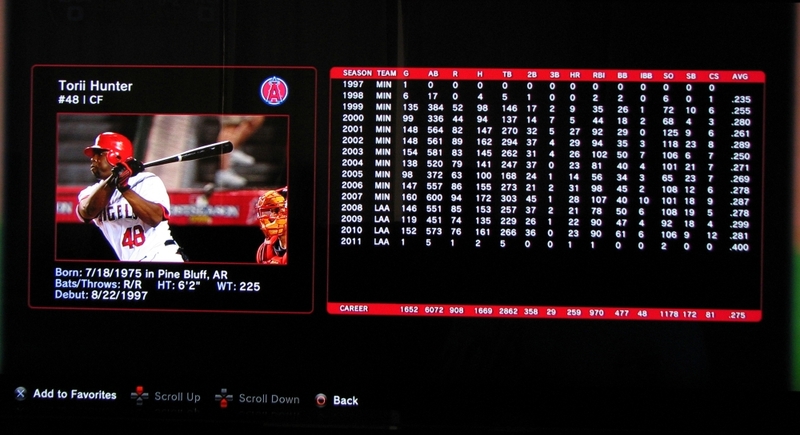 You can also add players as “favorites,” allowing users to compile and track their fantasy teams while watching MLB.TV. 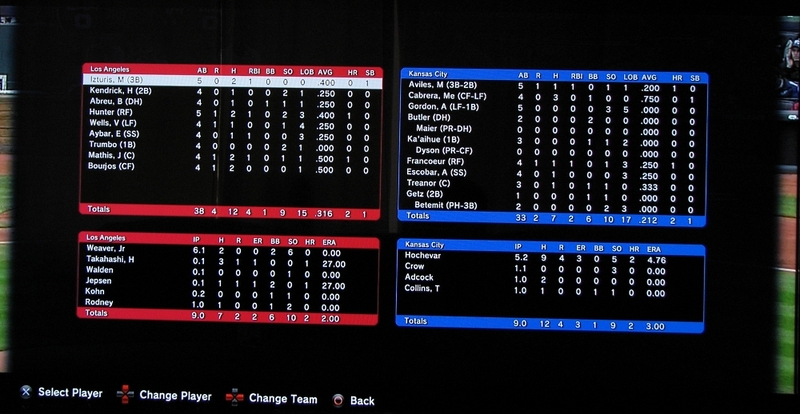 The in-game box score screen. If "show scores" were turned off, this would only show the "current" stats. There’s another new wrinkle called “event filtering.” Users choose from a list of event types: hit, run, home run, strikeout, triple play, double play, stolen base, and caught stealing. Any, all, or none of these may be selected. Whatever event types the user chooses will be reflected in the DVR time bar at the bottom of the screen. Again, if spoilers are turned off, only the events prior to the current moment in the game will be visible. The event filter "dots" are displayed on the DVR bar. Each shape / color corresponds to a different event type. If you’re a home run junkie, you can just watch all the long balls in a given game and be done with it. If you hear about Felix Hernandez striking out 17 in some random mid-May game, you can load up that contest later and just skip from K to K. This is yet another enhancement to an already-amazing product. Add to the mix live league leader tables and other fantasy-friendly tweaks, and it’s hard to imagine how MLB.TV could get any better, short of circumventing MLB’s blackout rules (which won’t happen) or allowing PS3 users to do a split-screen or quad-box to watch multiple games at once (a feature which exists to an extent on the PC version of MLB.TV). That would be a tall order considering the bandwidth involved. For now, I can’t recommend this product strongly enough for anyone who’s a fan of Major League Baseball. MLB.TV isn’t ideal for someone who lives within a blackout zone of their favorite team, as they won’t be able to watch their hometown games until 90 minutes after their completion. However, with every game archived and the ability to jump in later spoiler-free, this is still a wonderful product. This entry was posted in Commentary, Gaming, Reviews, Sports and tagged Baseball, Commentary, Fantasy Baseball, Gaming, MLB, MLB.TV, Playstation 3, PS3, Reviews, Roy Halladay, Sports. Bookmark the permalink.